The campus occupies almost 100 acres of rolling lawns, ponds, playing fields, equestrian facilities and over 25 buildings. The campus provides the student with plenty of room to breathe and offers a variety of physical activities that take education beyond the classroom, making it a stimulating, enjoyable part of everyday living. The ARC (Academic Research Center) provides the atmosphere for discovery and learning with fully-equipped chemistry and biology laboratories. The administration/classroom buildings contain classrooms, offices, and associated support facilities. The gymnasium complex of two gymnasiums, large weight/exercise facility, pool, and spa are used for interscholastic athletics and physical education. Many other buildings provide the setting for the educational endeavors of Monte Vista Christian School. Meals are served in the attractively decorated Cafe. 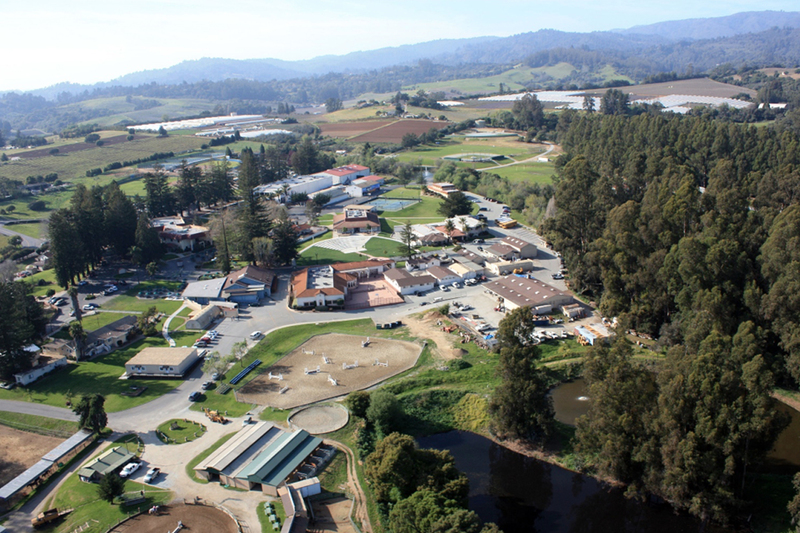 Other specialized buildings include a middle school complex, an art laboratory, a tack room and horse barns adjacent to the Western and English horse arenas, a music building, and two residence halls for the boarding students. We are delighted that you have chosen to explore the Monte Vista Christian School website. Whether you are a prospective student or parent, a current student, alumni, a potential employee, or a community member seeking more information. On behalf of our students and staff, we welcome you to our site. Monte Vista Christian School has built a tradition of excellence since its founding in 1926 as a coeducational college preparatory day and boarding school, grades 6-12, with a commitment to the moral and spiritual development of our students. It is our desire to challenge students to think independently, to develop problem solving and critical thinking skills, and to strive towards excellence in all that they do. Beyond the development of intellect, athleticism, and social responsibility, we are committed to bringing the knowledge of Jesus Christ and the truth of the Scriptures to each student. For every student at MVCS, there is a team of people – teachers, administrators, deans, support personnel and peers - ready to give encouragement and support. It is our mission to allow each student the opportunity to achieve his or her full potential. evident on this campus that was dedicated to God over 80 years ago. The philosophy of Monte Vista Christian School is built on the revelation of Jesus Christ as the Son of God and Savior of the world, for no one can lay any foundation other than the one already laid, which is Jesus Christ (1 Corinthians 3:11 NIV). We believe that a Christ-centered program is the most trustworthy guide toward educational excellence. In our service of developing students, we keep our focus on Jesus Christ, who having lived a life of perfect faith and brought it to full completion, now is the champion who initiates and perfects our faith (Hebrews 12:2 NLT). To these principles we are passionately committed, and from this passion flows innovative and Biblically-based curricular and co-curricular programs which are at the highest levels of accreditation and academic standards and are directed at preparing our students for success at Monte Vista and throughout their lives. Our philosophy is lived out in a community of believers, where we welcome students from all religious faiths and even those who do not hold to any particular set of religious beliefs. Within this diverse setting, we openly model and express a faith consistent with a Christian worldview, while acknowledging that our own lives are works in progress, and that we are constantly being shaped by our faith. However, within our acknowledgment of imperfection, we understand that as followers of Christ we are called to live exemplary lives reflective of the ethical and moral standards of Christ’s teachings. In light of this high calling, we accept that we are accountable to Christ, each other, our students, and our community to live as servants of Jesus Christ in the spirit of generosity and compassion while being responsive to the needs of those we serve. To the families who entrust their children to us each year, we take very seriously our role of serving as workers together with you. We hold this sacred trust as stewards in a partnership, and passionately commit ourselves to our strategic role as a premier educational institution in developing your children morally, emotionally, intellectually, and physically to their highest potential. Our hope is that when students graduate from Monte Vista Christian School, in addition to having the highest level of educational experience, they will also have discovered a passion to spread the message of Jesus Christ to all the world. And through the examples they have encountered, that they will be world changers living as trustworthy and accountable stewards within God’s creation. We believe in the absolute necessity of regeneration by the Holy Spirit for salvation because of the exceeding sinfulness of human nature and that men are justified on the single ground of faith in the shed blood of Christ and that only by God's grace and through faith alone are we saved. We believe in the resurrection of both the saved and the lost; they that are saved unto the resurrection of life, and they that are lost unto the resurrection of condemnation. 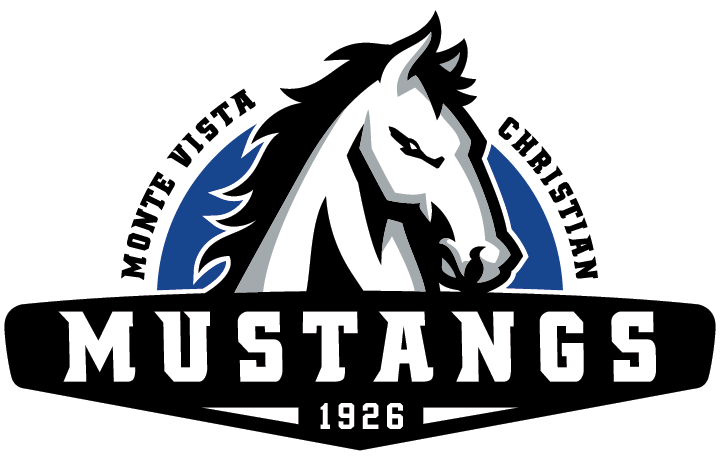 Monte Vista Christian School empowers students to achieve their highest potential through Christ-centered educational excellence. We exemplify Christ-centered character, understanding, and relationships. We developed our Expected Schoolwide Learning Results (ESLRs) with input from administrators, teachers, students, and parents, as a part of our WASC/ACSI/ACTS accreditation process. ESLRs define the most essential things that our students should know and be able to do by the time they graduate from MVCS. ESLRs represent not only what students should know, but also how they will approach their learning, and how they will relate that knowledge to the world around them. ESLRs are embedded in each course that students take, and provide a focus and continuity for the students’ learning experience. ESLRs express Monte Vista Christian School’s core values as outcomes that all students will accomplish by the time they graduate. ESLRs provide the understanding, caring, and critical appreciation of ideas needed to succeed as a Christian in a global society. ESLRs equip all students with the knowledge, competencies, and orientations needed for success in a thinking, meaning-centered curriculum. ESLRs enable teachers to implement programs and conditions that maximize learning success for all students in a thinking, meaning-centered curriculum. ESLRs provide schools with a means to restructure pedagogy in ways that facilitate student success in a thinking, meaning-centered curriculum. ESLRs are aligned with the school purpose and philosophy. a. Are able to study and responsibly apply Scripture. b. Have a core knowledge of the biblical narrative, the gospel, and God’s character. c. Can explain if/how they have personally responded to the gospel of Christ. d. Can develop solutions to real-world problems and filter any subject/event/philosophy through a biblical worldview. e. Have positively impacted the world through Christian love and service. f. Exhibit knowledge and understanding of other religions and belief systems. a. Demonstrate the ability to access and synthesize information from diverse sources, test hypotheses, solve problems, and form conclusions based on relevant, reliable data and information based on principles from the Word of God. b. Identify and assess problems and find solutions using complex reasoning processes such as comparison, classification, induction, deduction, analysis, synthesis, investigation, inquiry, and invention in real life situations. c. Demonstrate effective written, oral, technological, and collaborative communication skills and possess the foundational knowledge necessary for successfully pursuing an academic discipline in advanced education. d. Express themselves creatively through art, drama, foreign language, music, or sports. e. Demonstrate personal responsibility in the learning process. f. Consistently test at or above grade level in all core academic subjects as measured through tests of nationally recognized merit. a. Set and apply appropriate goals for hygiene, nutrition, and physical, and mental health. b. Accept and can explain consequences for life choices. c. Identify and use personal strengths. d. Demonstrate reliability, time management, organization, and self-discipline. e. Develop personal goals for academics, career, family, and community life. a. Demonstrate an ability to influence others in a way that promotes justice and Biblical values. b. Listen actively with empathy and understanding, and respond appropriately to the social and academic context. c. Make decisions that are principled and ethical. d. Demonstrate understanding, respect, and cultural sensitivity in a diverse environment. e. Utilize technology in an ethical manner. f. Demonstrate responsibility in environmental issues. g. Contribute purposefully, constructively, and creatively to the group or team. a. Is technologically fluent in current, mainstream computing technologies. b. Demonstrate comfort using and adapting to new technologies and operating computing hardware and software. c. Demonstrate responsible digital citizenship, in particular with respect to safety, ownership rights, collaboration, publication, privacy, security and digital footprints. d. Demonstrate competence in transmitting digital data without the use of paper. e. Demonstrate competence in producing digital products, such as but not limited to notes, essays, projects, and presentations. f. Demonstrate on-line research competence to find answers and solve problems in real time scenarios.